After years on the periphery of cultural relevance, novels aimed at teenagers are suddenly front and center of popular fiction. We talk to three Pepperdine authors writing for the young—and the young at heart. At least, that’s what a prospective publisher at Harper Collins told Cynthia Struloeff’s agent a few years ago. After vampires, werewolves, and supernaturally strong girls saving a postapocalyptic planet had dominated pop culture since the late 2000s, publishers considered them at the point of being exhausted in the young adult market. What they really wanted were contemporary stories about angels. The timing was perfect for Seaver College adjunct creative writing professor Struloeff, who had just completed her first young adult novel, Unearthly, about a teenage girl named Clara who discovers that she is half-angel. “It’s very contemporary and personal to this one character and her inner struggles,” says Struloeff. 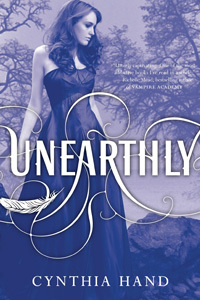 Within weeks, her agent had secured a book deal for Unearthly (2011) with Harper Collins. Web Exclusive: Listen to an audio clip of Unearthly, as read by Cynthia Struloeff. Struloeff, who writes under the pen name Cynthia Hand, found that she had unintentionally achieved that most elusive kind of authorial luck—publishing a story that hits the zeitgeist at just the right time. Sometime between starting her first draft in April 2009 and Unearthly’s release in January 2011, young adult (YA) literature handily asserted itself as the leader of the pack in popular culture and book sales. These coming-of-age books, such as the Harry Potter series or The Hunger Games trilogy, now regularly sit on or near the top of the fiction bestseller lists for months at a time. “You know, we didn’t really have YA fiction when I was a teen,” Struloeff recalls. There was contemporary fiction for that age group, such as Judy Blume’s controversial novels or the Sweet Valley High series, but teenagers tended to be the exclusive audience. Today, YA literature is still about teenage characters dealing with young adult issues, but adults now represent a higher percentage of the readership than ever before, accounting for 55 percent, according to Publishers Weekly. 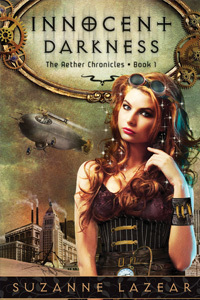 Suzanne Lazear (MPP ’03), author of steampunk faerie novel Innocent Darkness (2012), the first book in a planned trilogy called The Aether Chronicles, has a few theories why. Innocent Darkness’ heroine Noli, living in an alternative version of Victorian-era Los Angeles, faces a battle between whom her family expects her to be and whom she wants to become. 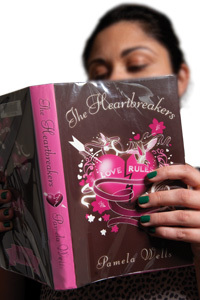 Most adults reading YA novels have made these formative decisions about their lives already, and so books about teenagers grappling with these choices can, as Struloeff asserts, serve as a nostalgic look back at who they once were, how far they’ve come, and what they might have done differently if given the chance to go back. “Teenagers’ lives are about transitions and defining moments. That’s very exciting in a narrative sense, so it makes sense to me that adults are drawn to YA,” Struloeff says. Both Struloeff and Lazear had to make transitions of their own when they began writing YA, as both initially resisted writing for young adults, wanting instead to write contemporary fiction for adults. “I got my agent while finishing my PhD and then didn’t give her anything for five years while I worked on a literary novel,” Struloeff admits. After marrying fellow author John Struloeff, director of creative writing at Seaver College, and having the first of their two children, she was in a low creative period when out of the blue she felt a strong urge to tell a story about a person with purpose. Struloeff initially feared receiving a similar reaction from her agent to the one she had throughout her PhD course at the University of Nebraska-Lincoln, where it was pointed out that her stories were most often focused on teenage girls. She ended up having to consciously start writing stories from other perspectives, although in a twist of irony it was a short story about a 14-year-old girl coping with the death of her mother that eventually got her published for the first time in the Iowa Review and led to her securing said literary agent. She was ahead of the curve back then, too, because it turns out that the current trend of popular YA literature is very much focused on teenage girls. Like anything that suddenly becomes hyper-popular, YA has provoked backlash, in this case against its portrayal of female characters stemming from the negative fervor surrounding Twilight’s heroine Bella Swan, who defines herself by the men in her life. Struloeff and Lazear were conscious of this when writing their first heroines. 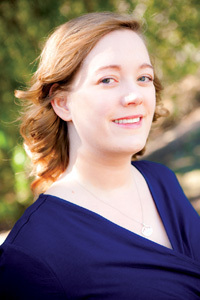 Lazear, who earned a master’s degree in public policy from Pepperdine and was formerly a grant writer for the University’s advancement office, was conscious about writing a strong female character. Protagonist Noli, against her family’s wishes, refuses to marry someone she doesn’t love and instead longs to go to university and study botany. Despite that, Lazear admits that she receives some criticism that Noli is not strong enough. “When you look at her environment in the Victorian era, she is a really strong girl fighting against society. Maybe for our time she is a little more average, but for her time she was really dancing to the beat of her own drum,” she explains. Pamela Wells (MA ’03) felt called to write a story that would help teenagers fight one of the most decidedly traumatic experiences of a young person’s life: first heartbreak. The former journalist was finishing up her master’s degree in at the Graduate School of Education and Psychology when her own life provided inspiration. Which might ultimately explain why YA literature is so appealing to readers of all ages. At a time when adults are reconnecting on social media with old friends they haven’t seen in years and current teenagers are living out their “firsts” and trying to find their identities, YA literature allows the reader to step into the world of a person who is young, growing, and changing. They might look to that character as an inspiration, or it might help them work out a few of the “What if?” questions they have about their own lives. 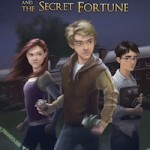 Read a Q&A with professor Craig Everett, who authored the young adult thriller Toby Gold and the Secret Fortune. One museum and stage tour at Warner Bros. Studios, Leavesden, U.K.